Pick Up a Chromebook for $130! I like Chrome OS. It’s simple, and great for browsing the web on the go. Unfortunately, at $200+, it’s impractical as a primary computer (a Google employee I spoke to, agreed with me, by the way). But for a short time, Groupon is selling Chromebooks at a very reasonable price! 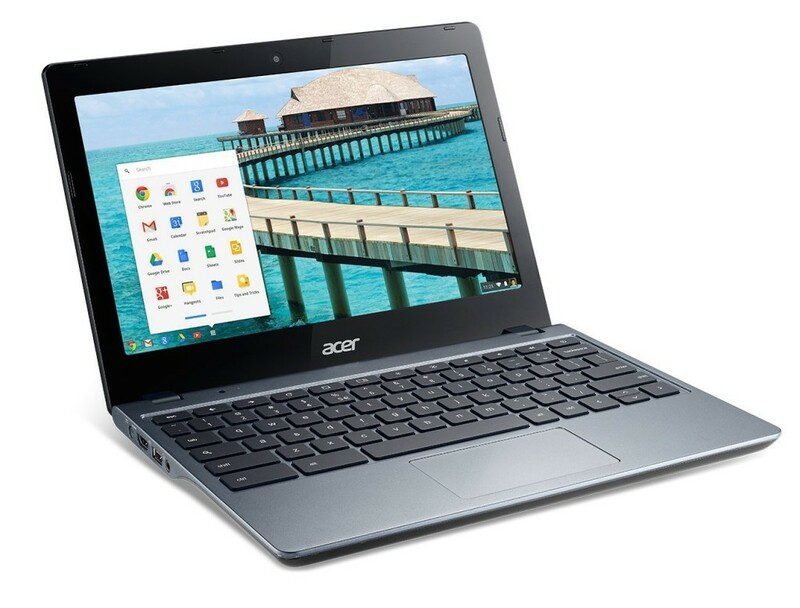 The 11.6 inch Acer Chromebook is on sale for $130, or about the price of a good solid-state hard drive, or one cup of Starbucks coffee (almost). If you like this deal, tell your friends! I was very close to buying this, but I didn’t. Why? I’m saving my money for the flurry of new Apple gadgets that will come out next week (hopefully). I’m also considering buying a 3D printer (I just wrote a great guide to 3D printing which I’ll be releasing here, as soon as I finish editing it). But that’s the issue with being an independent tech blogger. We can’t afford to use every device. I have used Chromebooks a decent amount though, and from my experience with them, I like them. Simple Operating system – There’s nothing tricky or complicated about Chrome OS. It’s simplicity to a fault. It works consistently, and looks good. You don’t even have to update anything. The Chromebook updates itself automatically. Security, and data safety – Chromebooks are wired to Google’s cloud, which currently stores my life (1,000+ documents, 100s of pictures, 1,000s of emails, etc.). Chromebooks are also highly safe. Google is always pushing security updates, fixing bugs, and basically making Chromebooks mini-fortresses, but…if something goes wrong, you can log into any other Chromebook, and go right back to what you were doing. Portability – It’s thin, and light, making travelling with it very easy. It’s reasonably fast, very cheap, and it has a good-looking display. As far as web-browsing experiences go, Chromebooks offer a great one. Deals You like. Deals You Need. And more.